For details on Open Gym (ages 6 and under), please visit our Open Gym page. 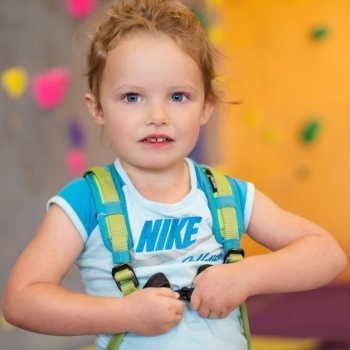 This 45 minutes class allows our littlest climbers and their parent or guardian to participate in educational games, activities and climbing. The class focuses on helping children develop their fine and gross motor skills, as well as their listening skills. Parent or guardian participation is required unless approved by instructor. This one-hour class allows our little climbers to further develop and enhance the skills learned in the Mini Monkey 1 class, independent of their parent or guardian. 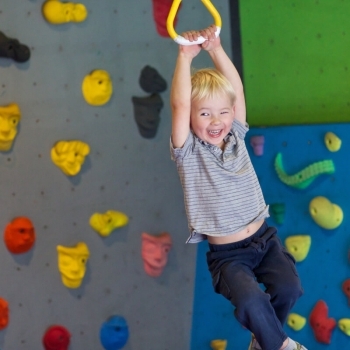 Motor skills and listening are further developed through instructional games, activities, and climbing. Additionally, this class helps young climbers develop confidence as they become comfortable with climbing moves and expectations. Please note that classes with 2 children or less may be combined. 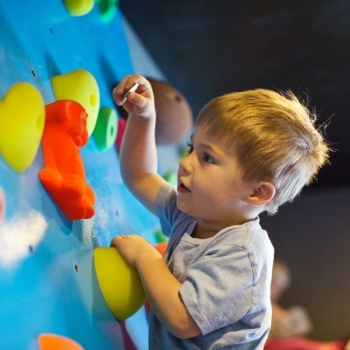 This one-hour class stimulates young climbers through participation in our well-designed playful program and encouraging atmosphere. 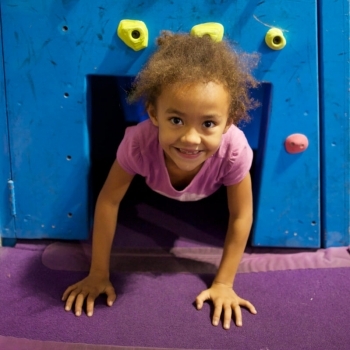 Games, obstacle courses, a zip line and slides come together in this unique and enriching climbing experience. Please note that classes with 2 children or less may be combined.